I will be visiting family in the Boston area from July 26 to July 30. During that time I will be handing out flyers, cards & DVDs on the truths regarding 911, & the Hidden Evil. I anticipate my family will be used to attack me by the minions who serve the criminals that have hijacked America. It is also possible during that time that I will be framed by citizen informants or arrested due to my decision to raise awareness regarding these issues. The website will be posted before July 26. In addition to outlining the general operations of the Hidden Evil, it will contain evidence that the Think Tanks mentioned below have infiltrated the federal government, & are setting up a global dictatorship. It will also contain evidence that they are, in all likelihood, responsible for creating this program. 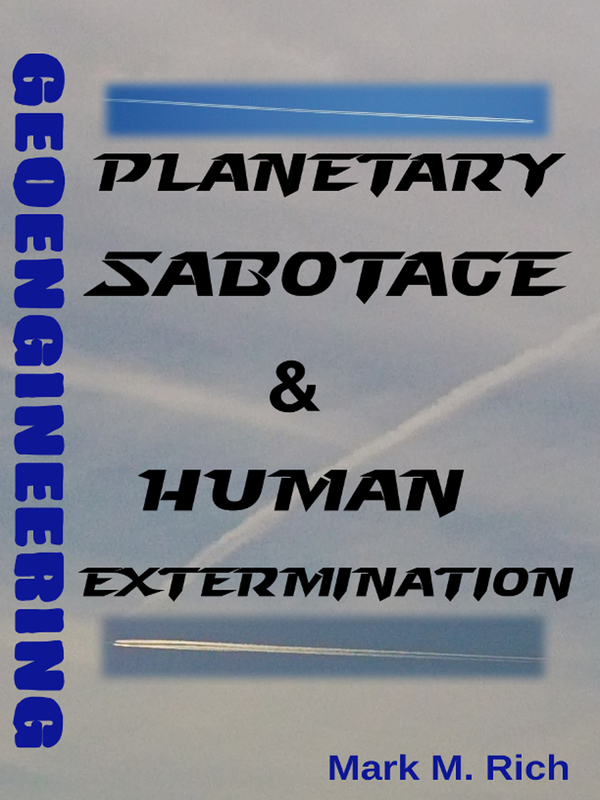 This site is under construction & will be based on a phenomenon I call, the Hidden Evil. 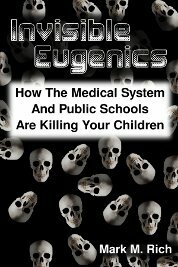 It entails the use of military-grade weapons that influence the mind & body on the civilian population. These silent, traceless, through-the-wall weapons, are accompanied by large groups of plain clothed citizen informants who Gang Stalk targeted people out in public. This is a hidden epidemic that occurs worldwide. I have found that it is linked to a political movement called the Global Union. The current version (PDF) of this report can be downloaded at www.rich-essence.com. 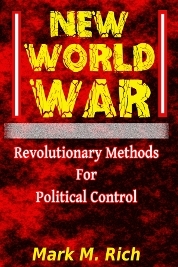 The site will provide evidence that the wealthy individuals that have assembled elite Think Tanks, such as the Council on Foreign Relations, the Bilderbergers, & the Trilateral Commission, have declared war on citizens of the world & are responsible for creating the Hidden Evil. These Think Tanks are heavily interlocked with Wall Street, the Federal Reserve & the Tax-exempt Complex. This combined entity, which FBI man Dan Smoot called, The Invisible Government, is using this secret policy to neutralize anyone they choose, as they move from a covert to an overt totalitarian state. The Hidden Evil is not entirely new, it existed in some form in Russia & Germany, & both of these dictatorships were funded by the interests previously mentioned. These groups are composed of some very wealthy & influential individuals, some of them European Royalty. By infiltration, they have overthrown the government & are manipulating it like a puppet. If I'm correct, these are the same individuals who ordered the attacks on 911 & the Okalahoma City bombing, both of which resulted in anti-terror (anti-citizen) legislation & the murder of thousands of people. These events were examples of the Problem-Reaction-Solution formula, & are part of the foundation for what will eventually be an overt tyrannical dictatorship (Global Union/New World Order). These are also the same financial interests that funded the Nazis, the Communists, allowed Pearl Harbor to occur, & attempted to overthrow the U.S. Government by force in 1934 (all authentic history as I'll demonstrate). They have used the Tax-exempt Complex, which funds the academic institutions & publishing houses, to re-write history. The mainstream media, which they own & control, are complicit in the cover-up. The Hidden Evil is connected to these & other events. I will provide evidence that these influential groups not only control the country, but they are implementing a dictatorial model that has been used in Russia & Germany. The people on the dispensing end of this program have taken careful measures to interfere with my channels of communication. All family members & friends that I've been in regular contact with have been recruited. Every person that has visited this farm has exhibited behavior to indicate that they are participating in this program. This is almost exactly what happened at the previous farm/Bed & Breakfast, where a rotation of plain clothed informants who visited as "guests," participated in the harassment. Electrical devices such as the PC (especially when working on the book), an Mp3 player & Palm Pilot device are also interfered with. There is frequent PC trouble including lockups, & other seemingly abnormal behavior. Web access is interfered with & sites are obviously altered. There is some type of program that is being used to filter the results of search engines & display results which pertain to an event unfolding in my personal life. This includes information that does not directly pertain to the key words typed into the engine, but does pertain to something that I just did or intend to do. This also may have something to do with the frequent delays I experience while a site is being transferred to the browser. I have no way of authenticating if this page is up right now. This is the third place I've lived in that has been surrounded by frequent explosions of noise. Some of the recurrent noise consists of construction projects, loud vehicles on the semi-paved road which connects to the driveway, various machinery, fireworks, & what sound like gunshots. The construction projects, & aircrafts have sprung up in the last three places I’ve lived. These are apparently attempts to intimidate me or cause me to break down. It would appear that the farm is under a virtual siege. This is the third consecutive place in two states where I am directly under a flight path. Small propeller planes & helicopters frequently pass overhead. On most days there is one about every 10-minutes, & sometimes more often. Sometimes groups of them pass over the land. On more than one occasion I saw the same plane repeatedly circling around. The use of helicopters has evidently extended to places I visit, as I've noticed one hovering near a house I was in while visiting relatives in Malden. The same tactic was used in Boston during the same 3-day visit while at an internet cafe, & was combined with loud noises from city workers just outside the building, as well as frequent sirens from fire trucks. During my 5-hour stay at the cafe, there was a rotation of people (apparently working in shifts) who would enter the room. When I go out in public I'm stalked by squads of citizens that crowd me. The clerks at each store in the area that I visit participate with space invasion, sensitivity tactics, & by using conversations, apparently meant to be overheard, which contain information about my personal life. They are supported by plain-clothed citizens who follow me into the stores & do the same. While driving on the road I'm surrounded by vehicles that tailgate me & cut me off. There is a disproportionate number of red vehicles which participate. Since I realized I was targeted in late 2004, I have noticed the following types of vehicles are participating: 18 wheelers, taxis, off duty school buses, fire trucks, ambulances, city vehicles, postal & UPS vehicles, restaurant delivery vehicles, & police cars. As I'll demonstrate, this cabal controls directly or indirectly, all federal, state & local governments. The DEW harassment continues in its usual manner. The electricity in the last two places I've lived has been interrupted multiple times at each place. In the last two farms I've been on, I've been poisoned 2 times (possibly 3). There have also been several accidents which I have attributed to this program. One included brakes not working on a tractor, & two other suspicious incidents involving a knife & an ax. I suppose if they wanted me dead I'd be dead. If I am killed, injured, disfigured, or maimed, regardless of how obvious it seems to have been an accident or my own choosing, they engineered it. I have kept a detailed log of specific instances of harassment for the last year, which will eventually be posted on TheHiddenEvil.com. 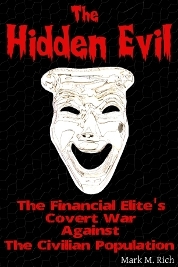 The book, the Hidden Evil, (working subtitle, The Elite's Covert War Against The Civilian Population) is taking longer than expected. I'm about 80% of the way finished with the first rough draft. It should be completed by November 2007. This website, which will be based on the book, should be launched by August 2007. I have a ten-year lease on the site. Other than that, I am OK. I continue to learn about this & related subjects, as well as gardening & other hobbies.